This summer, the Boston University School of Public Health’s Population Health Exchange (PHX) program will launch its first online course. The Essentials of Biostatistics with JMP, a prerequisite for the SPH Master of Science program, will be the newest addition to the school’s Summer Institute for Research Education in Biostatistics. The course is aimed at students who want to complete the prerequisite as well as alumni and working professionals who wish to develop their data analysis skills, said course instructor Lisa Sullivan, an SPH professor of biostatistics and the associate dean for education. “This was really to give a flexible option for people,” Sullivan said. Current students looking to refresh their skills on the subject are also welcome to take the course, Leslie Tellalian, the director of the Lifelong Learning initiative at SPH, wrote in an email. The course will cover biostatistical analysis techniques through the review of case studies. BU is also partnering with software program JMP, and will grant all students in the course free access to the program for two years. Ella Epshteyn, the digital learning designer for Lifelong Learning, said she appreciates that the course will offer examples from the field and that it is designed to work for students with any learning style. The course is also designed to be interactive, with online projects and quizzes, she said. Although the course is online, there will be a live component each week for students to ask questions. Sullivan said the duration of the live session will be determined by the location of the students, as some who have already registered live on the West Coast. Kate Cunningham, an admitted prospective SPH student, said she has taken online biostatistics classes at other colleges and thinks online courses are risky. Tellalian wrote that the course, which will be limited to about 20 students, is the first of many more online, non-credit courses to come. “Biostatistics was a great place for us to begin as it is a subject area often requested of us and in great use across a range of professional and academic program areas,” Tellalian wrote. Caitlynne McGaff, a third-semester Master of Public Health student, said she thinks the online course could give prospective students a sense of what their experience would be like if they chose to pursue an MPH degree at SPH. 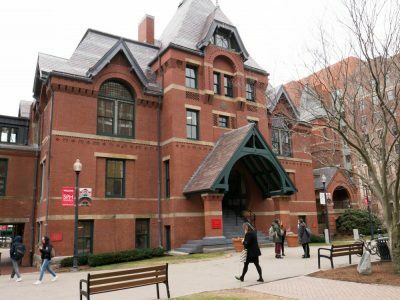 “It gives students the idea as to the type of class structure or teaching environment that BU SPH offers,” McGaff said. Bhumi Patel, a first-year SPH student, said she thinks the class would be helpful for students who are looking to gain a strong foundation in biostatistics and students living far from campus in the summer. “I think it is a good provision because a lot of international students would benefit,” Patel said. Registration for the course, which costs $1,300, is currently open. BU students are eligible for discounts.